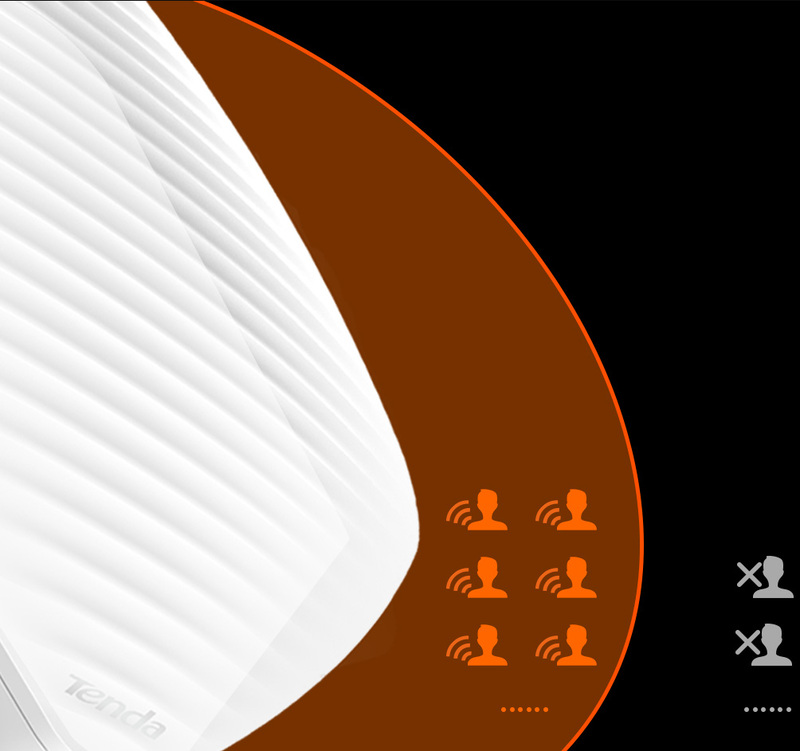 Designed for crowded places such as offices, bars and cafes, Tenda i21 allows up to 50 users to watch online videos or 70 users to browse web pages at the same time. 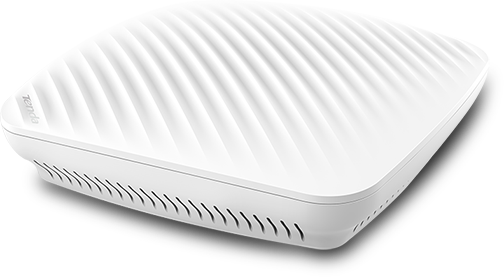 Featuring the dual-band (2.4 GHz/5 GHz) capacity and equipped with the MIMO and OFDM technologies, it offers a combined data rate of up to 1167 Mbps. It boasts two 2.4 GHz MIMO antennas and two 5 GHz MIMO antennas, and is designed with a transmit power of 100mW for the 2.4 GHz band and a transmit power of 64mW for the 5 GHz band. You can use the built-in power adjustment mode to adjust the transmit power as needed. i2i is compliant with 802.3af, allowing you to apply long-distance power supply via PoE without changing your original power network. 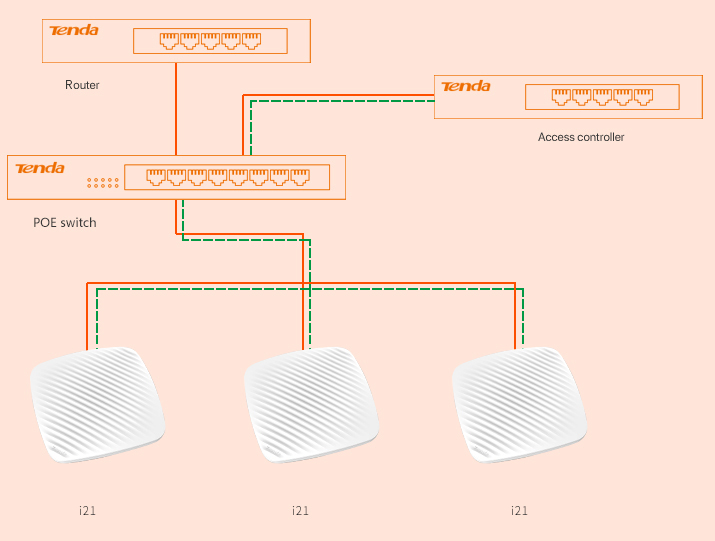 You can use any Tenda AP controller to manage and deploy i21. 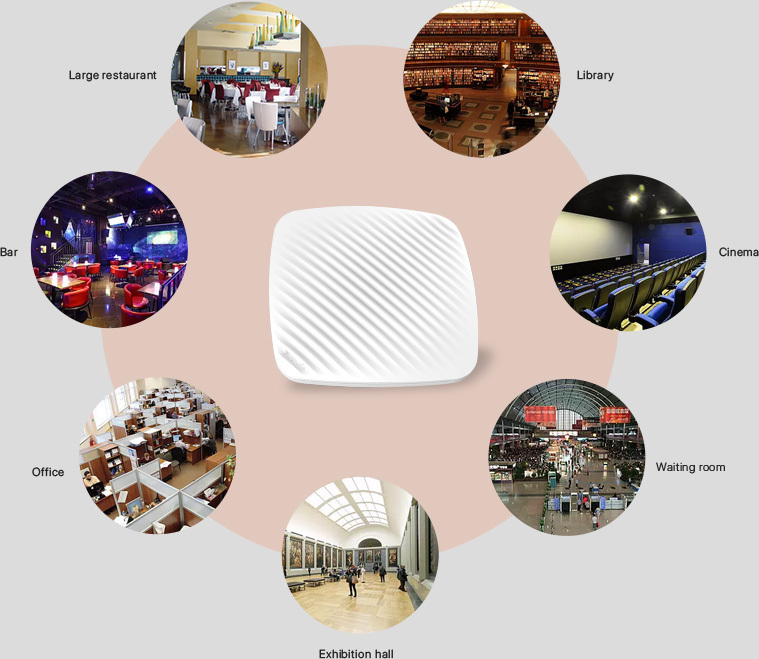 i21 is a Wi-Fi access point product especially designed by Tenda for indoor high user density environment like enterprise,Bar,cafe etc.It supports 2.4Hz&5GHz dual-band,uses MIMO,OFDM technology and so on,and provides 1167Mbps wireless transmission speed in maximum by dual-band concurrency.It has two 2.4GHz MIMO antennas and two 5GHz MIMO antennas,supports power adjustment pattern,users can adjust transmitting power according to real environment.It supports standard 802.3af PoE and DC power supply and convenient and fast networking.It can be managed and configurated by all series of access controllers of Tenda. i21 supports hollow scheduling and limited weakness signal terminal access. It can allocate the resources of wireless reasonably.Avoid low rate users to preempt empty resources,increasing the overall rate of wireless networks.It can adjust the threshold of low signal terminal access, reject the terminal access of low signal strength, which make sure the wireless network is more high-speed. Compared with the single power supply mode of other products, i21 supports POE power supply and DC power supply. You can choose according to the actual situation, the deployment is simpler and the construction is more convenient. 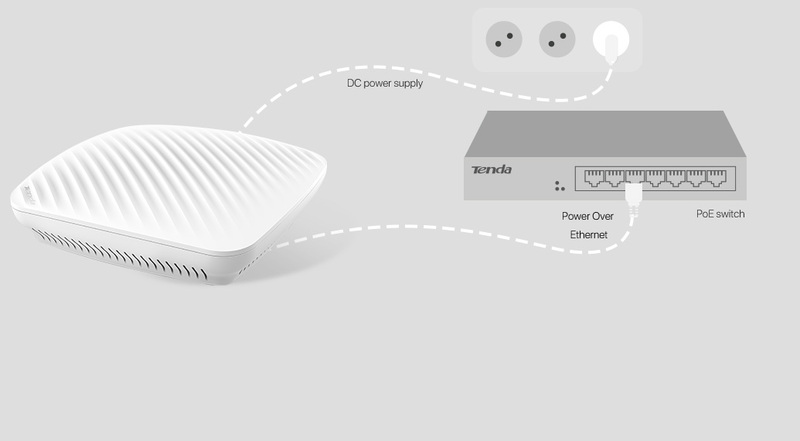 Support Tenda wireless controller M3 unified management and configuration.Network administrator only needs on one computer, can manage, configure, monitor all equipment.